If you're looking for a fun, colourful birthday cake, then this Funfetti birthday cake is the one! 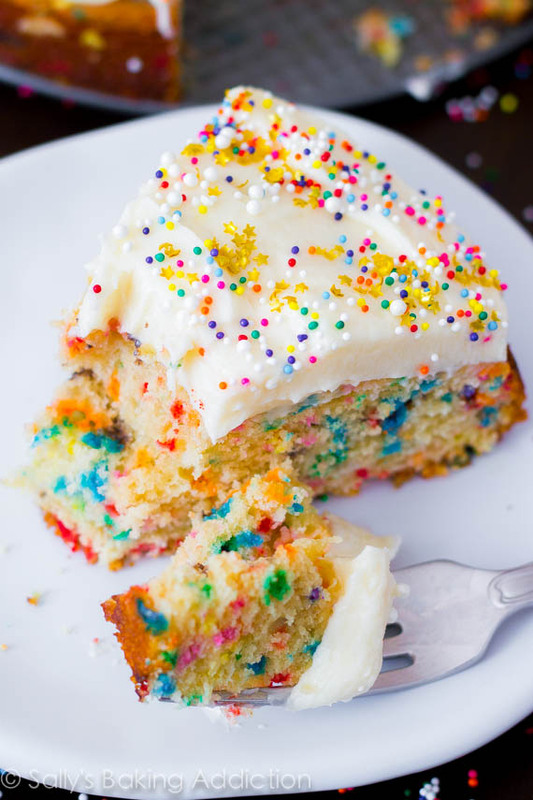 Who'd have thought the simple addition of Hundreds and Thousands could create such a cheery, colourful cake?! The recipe is SIMPLE. It's effectively a simple butter cake, so you could also use your favourite butter cake recipe and add sprinkles. However, the 'secret weapon' is the extra vanilla in this recipe. Rather than a cake, you could also make cupcakes. This is a fabulous cake that will make any child or adult smile. 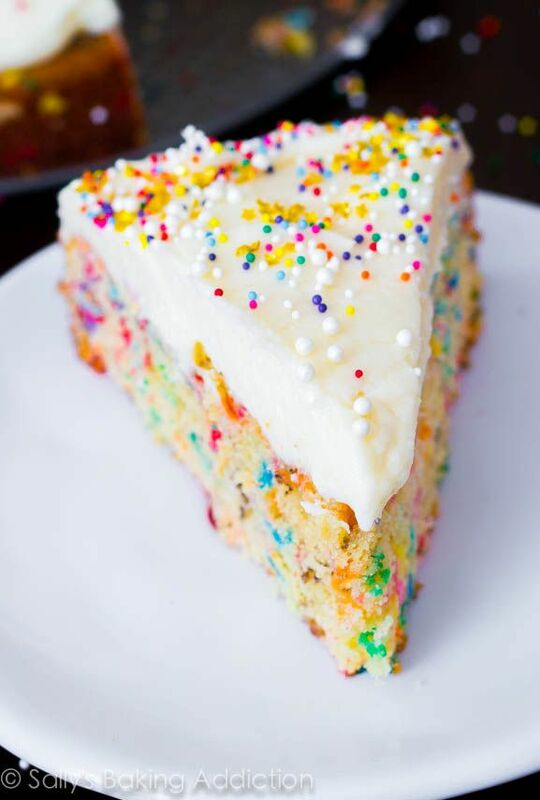 What's your favourite type of birthday cake?